Are you ready to make your first quilt? Our Quiltmaking 101 class (formerly Beginning Quilt Making) will give you all the essential tips, tricks and know-how to make your quilting dreams come true. Our instructors are experienced quilters, eager to share their knowledge with you as you make a lap-size quilt from start to finish. You'll learn a variety of valuable techniques and terms, such as cutting, strip piecing, seam allowance, pin-basting, quilting, binding and more. We break up the class into four, 4-hour sessions, with "homework" you'll do in between sessions. A sewing machine is required for this class. Don't have one? We have two sewing machines you can reserve to use in the shop for class with a $25 deposit that will be returned to you when the classes are done. Taught by David Bellevue (weekend sessions) and Sarah Oliver (weekday sessions). Three student minimum. 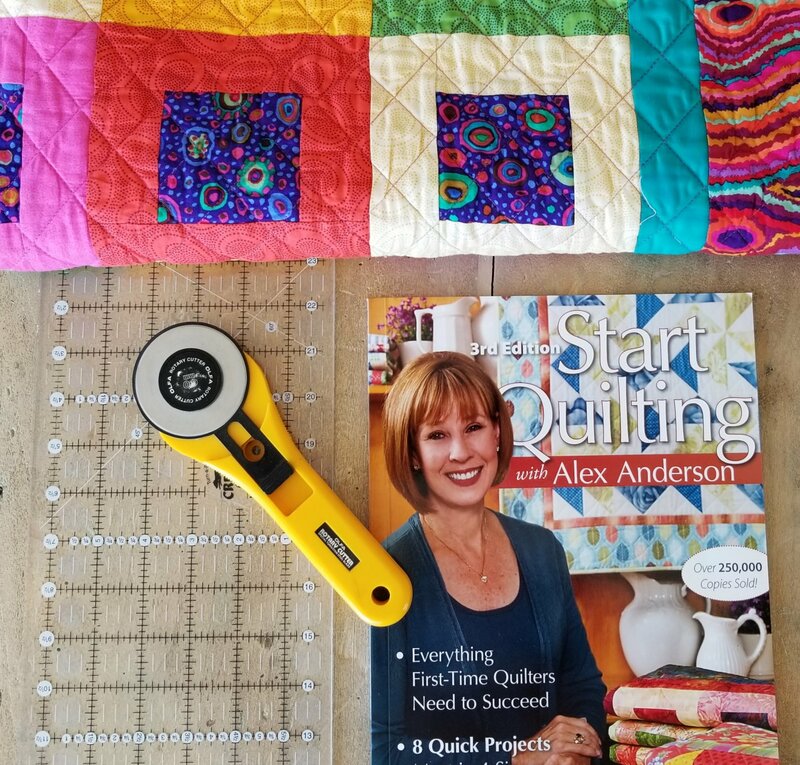 Materials Included: Start Quilting with Alex Anderson book included in the class. Requirements: A sewing machine, quilting supplies, book, fabric and batting are required. Supplies will cost around $150-$200 on top of the class fee, but the cutting implements, which are about half that estimate, you will need for all your future quilting. We may be able to find some loaner tools for you if you really are not sure about future quilting but you will then need to come into the shop in between classes to use tools for your homework.